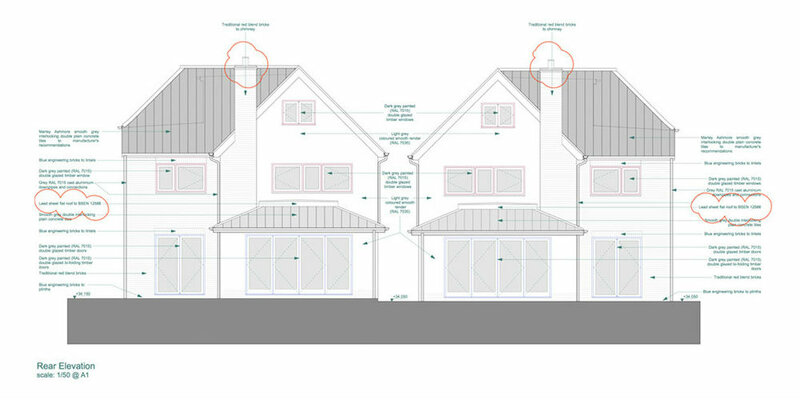 A developer obtained a small residential / retail site in Broxbourne, Hertfordshire within a residential area. The existing site had a single dwelling, associated shop and large shed. 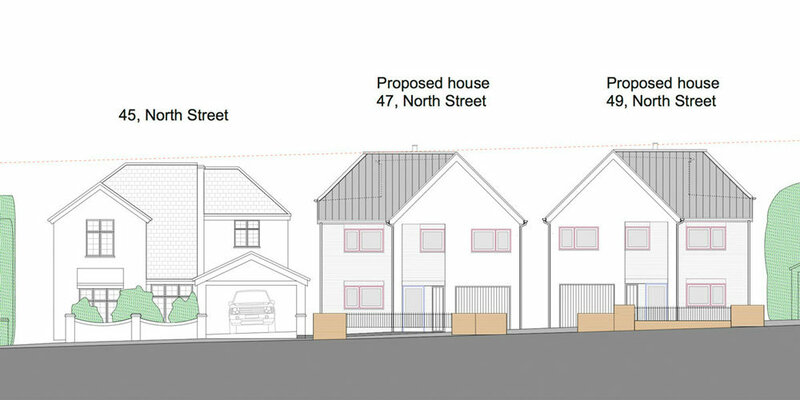 The proposal is to demolish the existing buildings and erect two dwellings on the site to complete the the streetscape and create a more appropriate elevation for the residential setting. 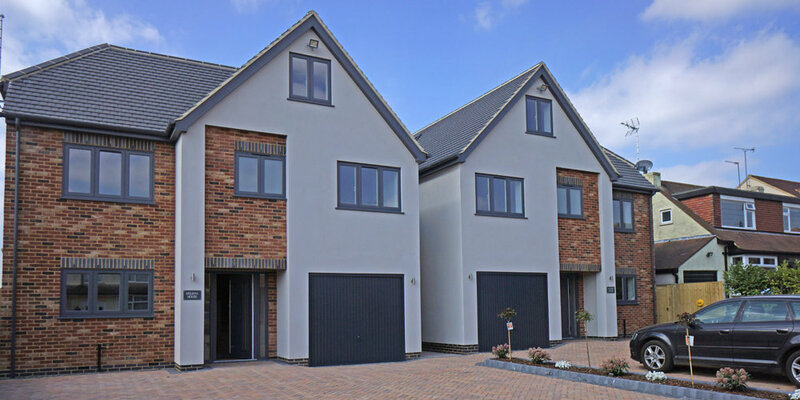 Each property will be set out over three floors creating over 225sqm of floor space with off street parking and the additional benefit of a single garage. The two buildings are symmetrical and share a common architectural language and palette of materials. 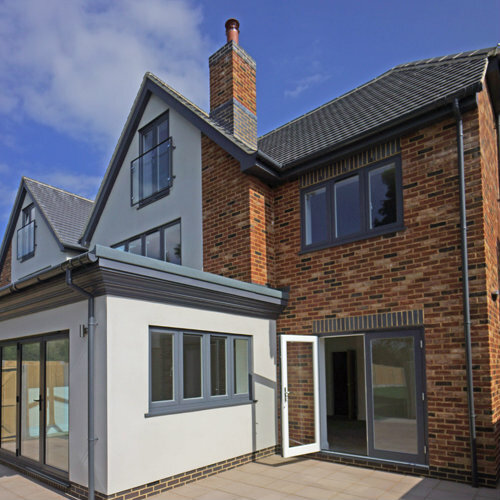 The design of the pitched roofs incorporating gables & hips reduces the apparent volume of the roofs and reflects the form of adjacent buildings. The dwellings were designed by virtue of their size, height and width to be in keeping with the surrounding dwellings. The composition steps the two dwellings down the slope of the hill at a scale consistent with the neighbouring buildings. 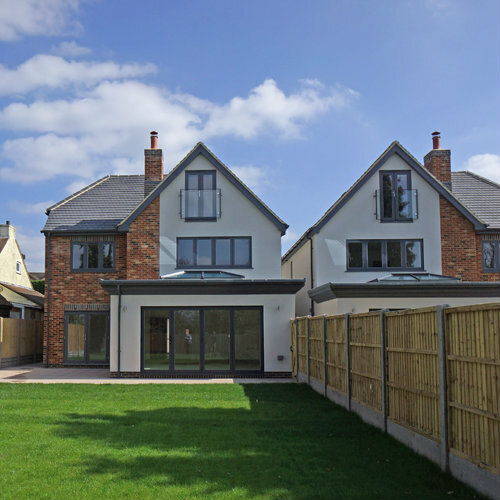 Conditional Planning and Building Regulation Approval was achieved first time within the client's agreed programme.